Buy Liquid Glass (Tablet) Screen Protection that fits any device! Universal nano-liquid that protects any tablet screen. FREE Shipping from Best Cellular! 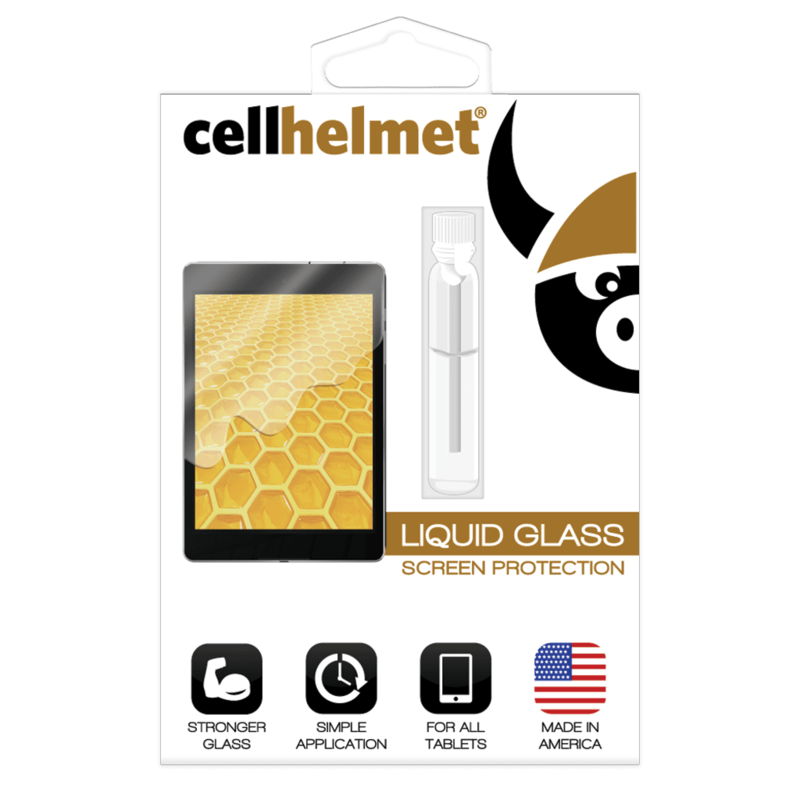 Liquid Glass (Tablet) Screen Protection from cellhelmet is an invisible, nano-liquid. All you have to do is rub it onto your tablet screen! Liquid Glass will dry and cure, strengthening the existing glass on the molecular level. Simple application – no bubbles! How Does Liquid Glass For Tablets Work? If you look at glass under a microscope you will see that it’s a porous material. The main ingredient of Liquid Glass, Silicon Dioxide, fills in those pores and imperfections. It cures after just a few minutes, bonding to the screen and forming a stronger surface. How hard is it to apply Liquid Glass? Why do I need Liquid Glass (Tablet) Screen Protection? Phone and tablet screen repairs aren’t getting any cheaper! 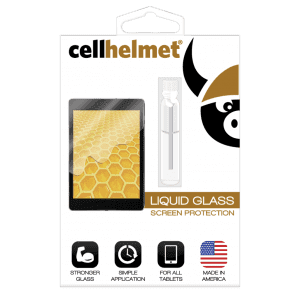 However, cellhelmet Liquid Glass makes your device’s screen stronger on a molecular level. Also, Liquid Glass+ comes with a screen repair guarantee. Get yours today from Best Cellular and protect that tablet!